Tomatoo is a theme with a combination of different tones of red that inspire spiciness. Counts with nice minimalistic details. 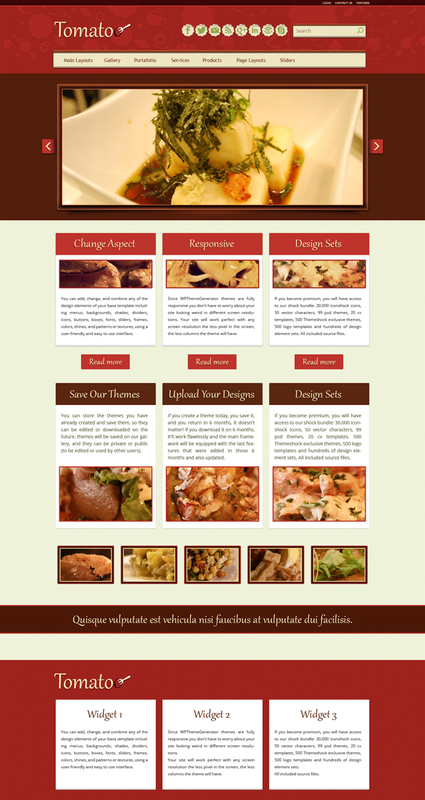 Suggested for restaurants especially those serving spicy food such as mexican, arabic and so on; though this theme is versatile enough to be used in a wide variety of sites. Wide slider and unique content boxes give the artistic touch to this theme. the theme of a good restaurant. This theme looks great. Should try. Indeed! thank you for your support!